Multi-Family dwelling with four bay garage on the first floor and 2 two-bedroom apartments on the second floor. Great year round rental history. Use the garage for storage while you rent the upstairs units, or vice versa. 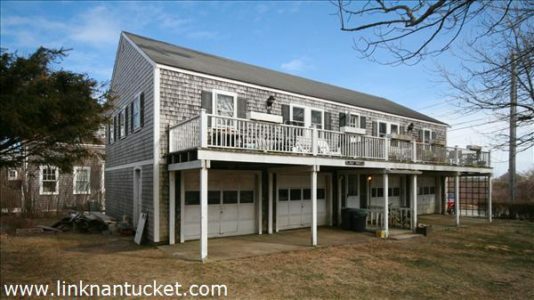 Great corner lot in ‘Sconset, allowable 1,500 feet of ground cover on this non-conforming lot.